The Hindustan Aeronautics Limited (HAL) published notification for recruitment for 500 Trade Apprentice are Fitter, Turner, Carpenter, Machinist, Welder, Electrician etc......View more information about recruitment for e.g. educational qualification, selection process, no of posts, name of posts, how to apply, important dates, important links all are as under. Educational qualification: Candidates who are applying for Hindustan Aeronautics Limited Apprentice Recruitment should have passed ITI in the relevant trade. The recruitment board will shortlist the candidates according to their performance in the interview. Apply Online & And finally, attach the necessary documents mentioned in the eligibility criteria for HAL trade apprentice posts and send it to the following address. 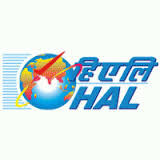 Deputy Manager (Training), Training and Development Institute, Hindustan Aeronautics Limited, Aircraft Division, Ojhar, Tal- Niphad, Nashik – 422207.